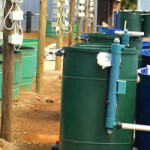 Recirculated Aquaculture Systems, or RAS, in one of the many ways in which you can grow fish. 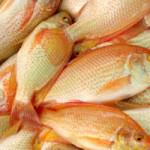 In our opinion, it is the only way fish will be grown in the future for several cogent reasons. RAS gives you control. It may cost you more, but control over production is everything. RAS is more environmentally friendly and greener. RAS allows scalability more flexibly. RAS is more predictable, and safer. RAS is more technically challenging. RAS requires scale to be economically viable. Control over production is so important it almost goes without saying. It is vital that you understand that to build your fish farm you have to control the value chain. This means you need to sell the fish you produce because no-one else is going to do that for you. CONSISTENCY of supply is what your market is going to require from you. 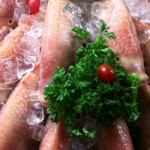 Because your selling price is so incredibly important to the profitability of your fish farm operation, you will have to find your own markets into which you can sell your fish for as much as possible. To ensure the highest price, you have to ensure production can match this. RAS is the only means by which you can remove the uncertainty associated with external environmental conditions (temperature, water quality, disease, etc.) and reduce your RISK. Water and Space are two requirements you don’t need for fish farming. Unless your water is horrid and you only have a garden shed to operate from, 2000m^2 will see you to 200 Tons Per Annum production levels with minimal water usage, as little as 1% to 3% of total volume per day. Contrast that with other fish production techniques and stand that in context of a water stressed country and draw your own conclusions. RAS requires absolutely reliable power. Eksom is forcing many South Africans off the grid – in the case of RAS this is relatively easy to justify. You have to have a self starting backup generator. 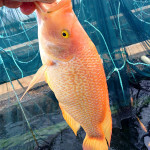 Adding off the grid PV to the mix is an economic straight forward reality for serious fish farmers – the years it takes to pay back the investment required makes it a no brainer. RAS is expensive. It costs capital to set up and payback is measured anywhere from 5 to 15 years depending on scale. It requires technically savvy people to operate it and hence scale is vital to the success of the fish farm. You cannot do this without investment ranging from R10M+. 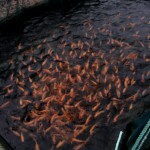 You will not find investors to fund your fish farm. They are unicorns and investor funding for fish farm business plans is rocking horse pooh. They do not exist. Full stop. You will, however, find investors to fund YOU, but only once you can show them that you are a successful fish farmer first. This you can only do by showing your data and your actual working production system. This can be a single Aquaculture Production Unit that you have run yourself and shed blood, sweat and tears on. If you cannot prove that you are capable of farming fish you are not invest-able. Funders have been burned too many times to be taken for a ride. No matter how good your business plan is without real world hard actual physical data of your production capability you are without hope. R30k for an APU to allow you to prove yourself is the single best investment you can make. 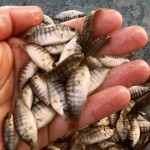 It will not make you money, but it might cover some costs if you can produce some fish from it. It’s true value lies in the learning you will derive from it and the details it will give to your business plan are what make it such a powerful development tool.